SUMPRODUCT is a very powerful and versatile formula. Unfortunately, it is also one of the hardest ones to learn. 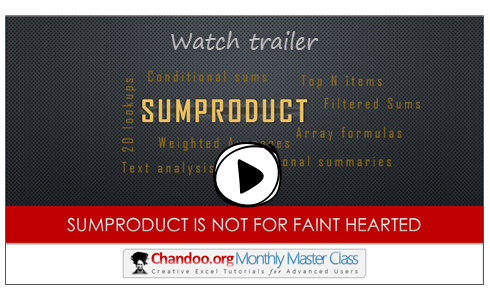 In this month’s master class, learn all about SUMPRODUCT – from basics to advanced usage. Use below links to purchase the Master Class and watch the video instantly.